Are You An Awk or a Josh? In our February Newsletter we asked how you’re using Logic Supply hardware? Are you creating a custom embedded appliance like Awk from network security specialist Pwnie Express? 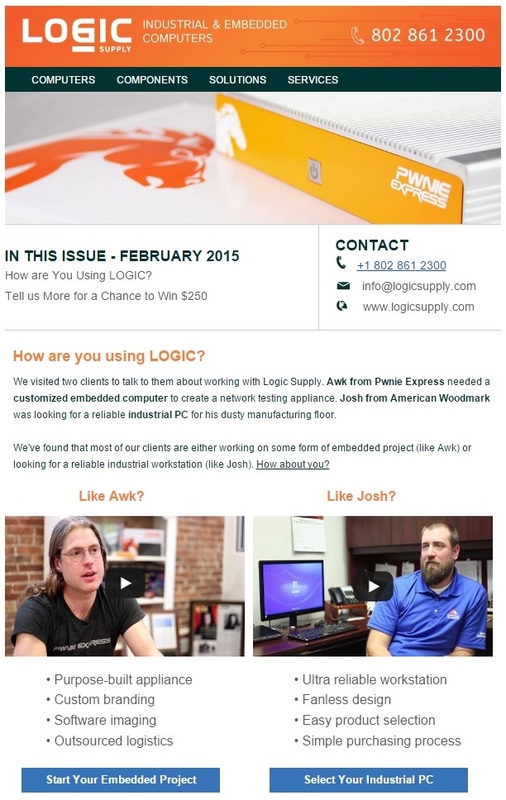 Are you implementing industrial workstation computers in a challenging environment like Josh from kitchen and bath cabinet manufacturer American Woodmark? Do you straddle the line between the two or fall into a completely separate category altogether? The uses for industrial computers range from simple desktop replacements, to fully custom devices who’s components, chassis, software and I/O compliment may be wholly unique. IT pros like Josh need reliable hardware that’s easy to repurchase, simple to install and convenient to maintain. Embedded solutions providers like Awk are building devices that may require additional OEM services like custom branding and software imaging. Regardless of the application, the first step in choosing the right industrial PC is establishing how you’ll be using your computer hardware. From there, identifying the particular components, specifications and qualifications becomes much simpler. If you’re struggling to find the right hardware for your project, let Awk and Josh tell you how Logic Supply was able to help them.